Monster Truck Madness – Merry Christmas, now let’s build a Boss « Big Squid RC – RC Car and Truck News, Reviews, Videos, and More! Welcome to a special holiday edition of Monster Truck Madness. Merry Christmas to you and your family! First off, a big congrats to all of our winners in the Arrma Granite giveaway! Especially the grand prize winner and new owner of the Granite, Eimhin from Charleston/SC! Let met tell ya something, you are are gonna freakin’ love your prize. The truck is an animal! So how am I spending Christmas? Well, it started off with all of my little ones opening their presents and having a grand old time. With the kids busy, it let me turn attention to MY present. 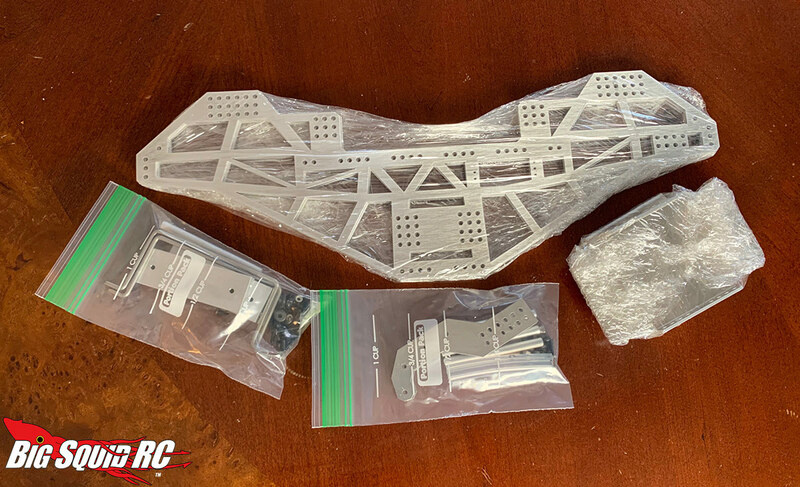 I have a brand new ACRC Havoc prototype monster truck chassis. You can see it at the top of the page, here. I actually had a small part in the design of this chassis, and I’m pumped to get rolling on it. It’s designed to accept the guts of an Axial SMT10 for those that want a heftier, more adjustable set-up than the stock truck. 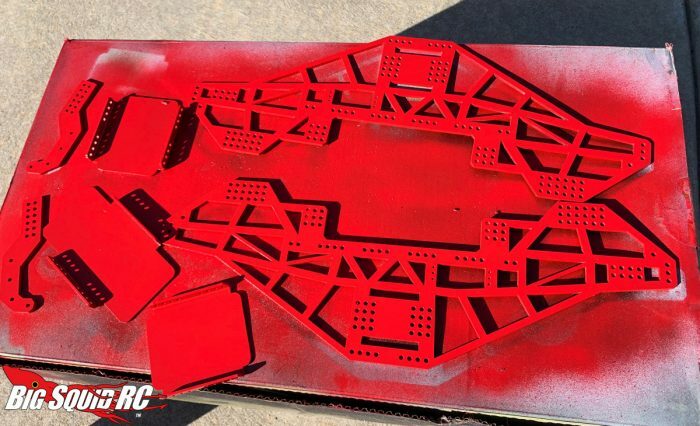 I am going to be chronicling the build as I go along, but to start it off I’ve used the a-typical mild Christmas weather to start painting the chassis. For the paint job, I’ll be doing a BigSquidRC themed truck. As it turns out, Massey Ferguson tractor paint is a dead ringer for BSRC red! 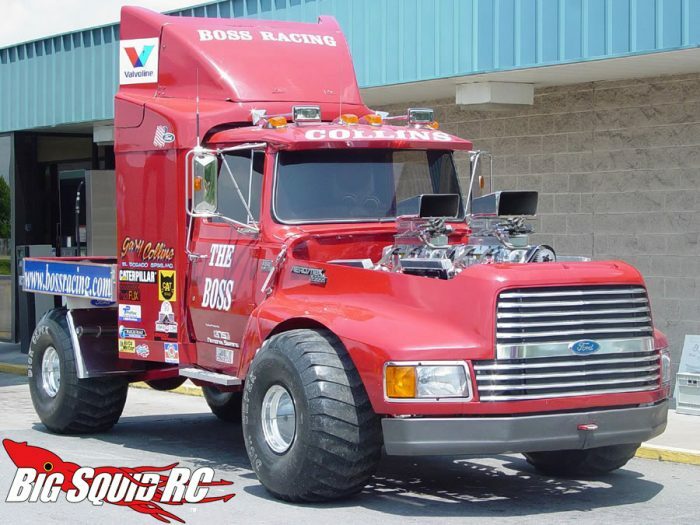 As for the actual name, it’s going to be called the BigSquidRC Boss in tribute to the baddest pulling truck that ever rumbled down a track, the twin hemi’d Budweiser Boss of Gary Collins. In a later column I’ll talk in a little bit more detail about the 1:1 Boss as it’s a fun rig to chat about. Suffice it to say that I got to see it do its thing multiple times during my childhood, and it left an indelible mark each time. P.S., anyone of you happen to have a Pro-Line semi truck body laying around :)? Alright guys, I’m keeping it really short today because I have to get back to painting. As mentioned earlier, I hope you and your family have a Merry Christmas. I’ll talk to ya next year!